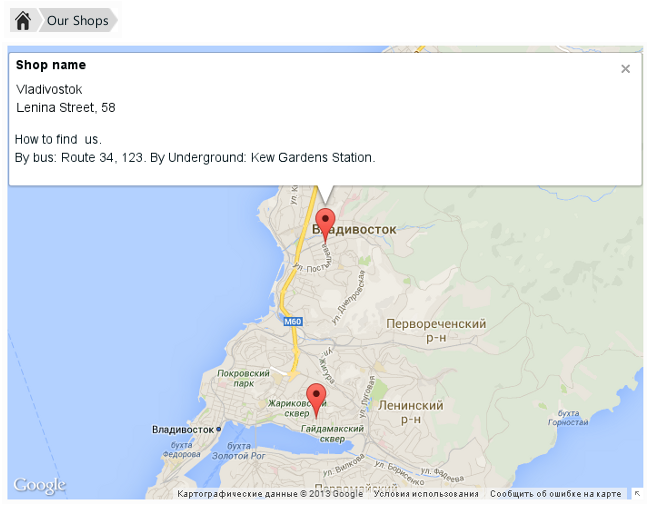 This CS-Cart modification allows you to add a block contains a Google or Yandex map with the detailed information about your shops located in your area. Works when the standard Store locator add-on is enabled. 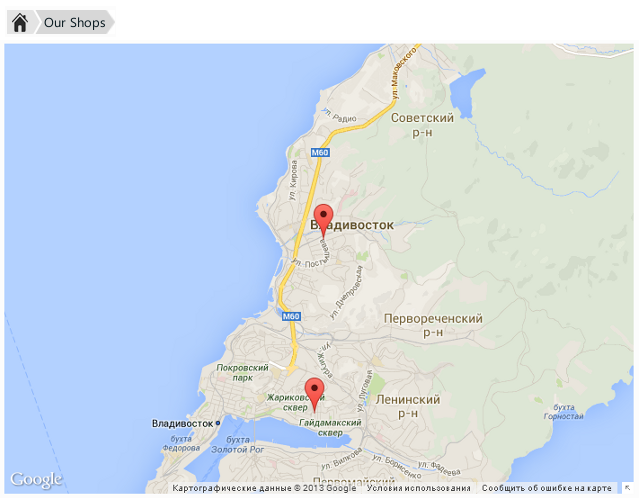 Setting to display Google or Yandex map. Ability to fill out the extra store info (how to find us, detailed address, phone, urls, etc) and display it in a pop-up window. Now we offer this modification for CS-Cart v.3 for $150. The modification price will be different from the stated above if you use CS-Cart v.4. We do not sell this modification as a ready-to-use add-on. This modification was developed for a particular online store that is why it requires individual adjustment.